YouTube is a huge marketing platform for your brand. With so many articles and blogs published on the internet, there is an overload of written information. Users are tired of reading long press releases or blogs. They want something that is interesting and short but conveys the whole information. That is why video marketing is on the rise. YouTube is the best platform for video marketing. But like every other platform, it also needs a bit of work. To make users click on your video, you need great and relevant content. But most importantly, you need a great click-worthy YouTube thumbnail. A thumbnail for a video is like a book cover. It is the one thing that can convince your users to click on the video. YouTube knows the importance of a good thumbnail. Therefore it is developing an algorithm that will help you pick the right image for your videos. If you don’t know much about designing a good thumbnail, we have some tips for you to get started. The image should justify the video you are making. Whether it’s a tutorial or travel blog or video that talks about a product; think about the message you want the user to get. Now, use a photo that corresponds to that message. For instance, if uploading a cooking tutorial, using a picture of the final dish as the thumbnail makes the most sense. Likewise, use the photo of the product you will talk about instead of old products of the brand. Moreover, use close-up shots of photos as users can see them properly in a thumbnail format. 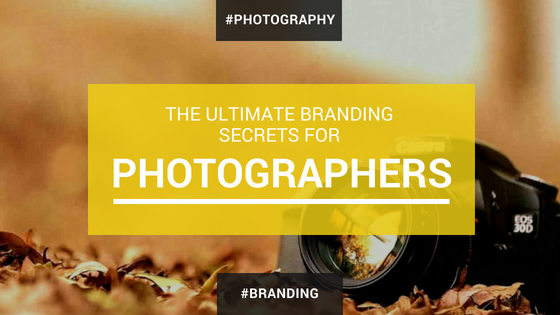 Make your thumbnail image bright as it will help you stand out amongst the competition. Don’t use too much color as it will look cheap. But edit and use filters on the image to make it pop out, and catch the eye of the user. 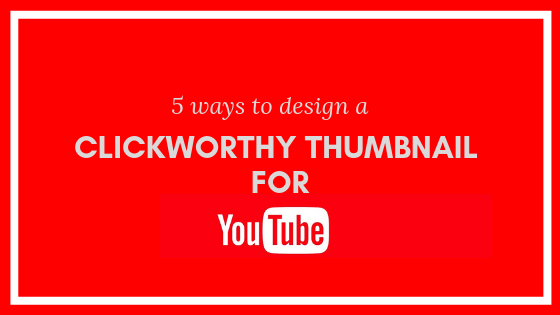 Another tip that will help you design a click-worthy thumbnail is to add text to it. Use the title or add some keywords to the thumbnail image so that the users know what the video is all about. Without reading the title, they are aware of the content and will immediately click on it if it’s catchy. Don’t use more than two fonts for your thumbnail text. It should be relevant to the image, short and catchy. Moreover, design it properly so that it doesn’t overshadow your main picture. YouTube thumbnail also has size measurement- 1280*720 pixels for the best quality. If you don’t follow this measurement, your thumbnail will pixelate when opened in the full screen of YouTube video player. A thumbnail with proper measurement, will look just right, clear and catchy. But if you use a smaller measurement, then it will look distorted and stretched. For making the proper thumbnail with the exact size, use the Canva youtube thumbnail maker tool. You will find all the tools you need to design a click-worthy thumbnail here. Whenever possible, use the image of a person for your thumbnail. It will connect with people more and make sure that the image is a close-up shot. It will ensure that your thumbnail stands out no matter what device the user views it on. If the face of the human emotes perfectly, it will clearly speak volumes about your video’s intended message. Bonus tip: It is important to test your thumbnail. Use the A/B testing strategy to optimize your channel. Also, if you feel like the thumbnail is not working, change it. Be honest with your thumbnail; don’t click bait as people are aware of it. I hope these tips help you to design great thumbnail for your YouTube channel and it flourishes. After creating and launching a new Android app on Play store, the next big agenda shows up, which is to make it hugely popular among all android phone users. Now, this target can only be achieved of the reviews of the app convey some positive message about the service. Hence, in order to increase Android reviews, the creator of the app starts to find out the best possible ways to make it happen at the earliest. 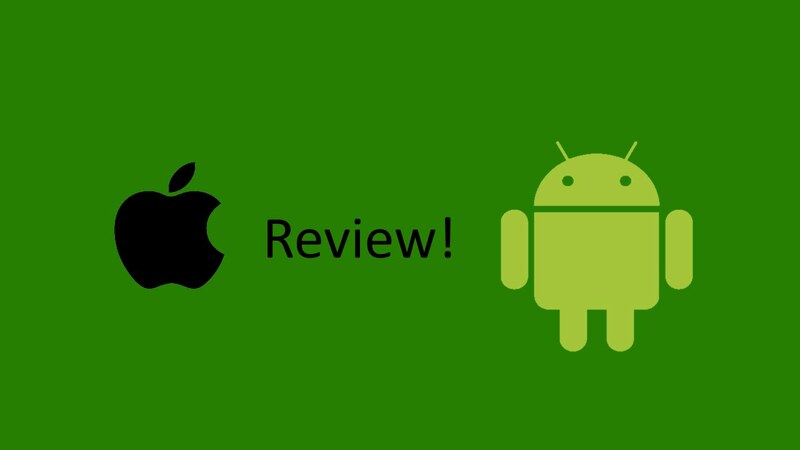 Among those ways to buy Android reviews is one of the factors that you would consider doing, due to the fact that it will be adding value to the credibility of the app. Therefore, to sweep away the market with your app, app developers prefer to buy reviews. And to know about the benefits before going for the final call, you should read about the advantages of having Android reviews and how convenient is to buy them from a reputable provider. For instance, if an Android app has a set of positive reviews, the authenticity of its service quality automatically boosts. And other users also observe this response from the previous users and the cycle starts to improve, more people feel convinced and assured by such comments. Most of the users tend to rely on the apps, which have got positive reviews on a frequent basis, where every second review praise the service is more likely to be tried by new users. This phenomenon makes easy for the developers to attract more users repeatedly. Many trusted apps are successfully getting more number of users, which is not violating any rules. And to make it happen an authentic and reliable source of service is playing an important role. Those reviews that are not at all explained, can be pointed out as fake. But here when the developer buys Android reviews they are well-written in detail, which makes them more real and removes the tag of being spam. Therefore, a real review should look and sound like a real experience have been shared by the reviewer. When such highly cautious websites provide their service, its hard to tell whether they are written by a real one or not as the opportunity to write reviews is only given to the active users. That’s how they are able to maintain a sense of the dignity of their service and have been able to collect so much credibility. Having a set of genuine reviews can possibly give your app a respectable identity. And when your reviews are being received positively by the users, out of 1.8 billion apps very few are able to reach that place, then you have definitely earned a position among so many others. When your demands are delivered within time and without any complaint, it's quite a satisfactory experience to have. At the top of it, as a developer, you don't have to spend much and get quality service at affordable price. According to the customer experience, those who have opted to buy reviews have ended up with more uber of downloads the before, which is the ultimate goal of any developer. Buying reviews isn’t a bad idea at all, it's helping many apps to establish their dominance in the market. Best 5 Random Domain Name Generators for perfectionists! Undoubtedly, choosing a perfect domain name for your online brand is a tricky task. Just think about how many times you made up your mind on a certain domain name and searched for it, you tried to purchase it and what- the domain is busy. Obviously, it is frustrating. The domain name that you choose can make or break your entire online business. You need to consider several factors before purchasing a domain. You need to find a perfect name for your baby right away- something memorable, short and catchy, Something that is able to describe what your brand is in just few letters. Remember the name that you choose forms the basis of your overall marketing and advertising strategies. Hence take all the time you need to select for a perfect domain name that matches your business also. But what if the domain you made up your mind upon is already busy? You can contact to domain owner to try buying it from him. Ask someone to search for you the domain on sites like fiverr. Continue searching in the same way or try another way . Other than these traditional methods of booking a domain you can try backordering a domain of your choice. Getting a high quality expired domain is a boon. Since I am an Indian, I always keep looking for .in domain backordering tool to backorder a domain that I like and is about to expire very soon. Now let’s focus on the purpose of this article i.e. discussing the various domain name generator tools. 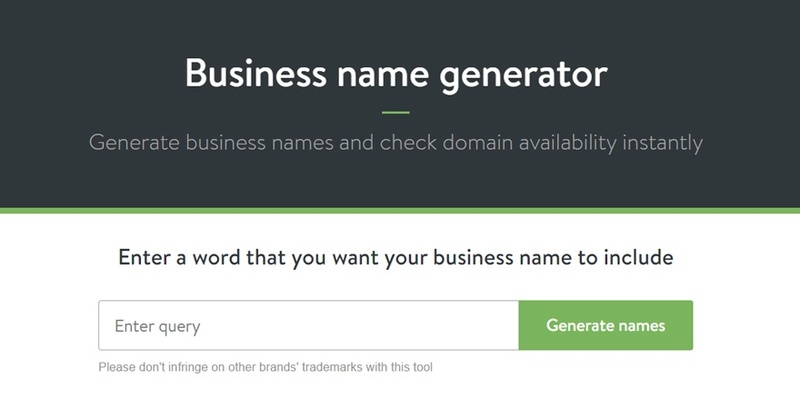 Here is a list of some cool and catchy business name generators to help you with brainstorming. Let’s have a look. Sort your results based on the length, alphabetical order and popularity. Add domains you like to favorites. Share the domain names on social media networks to gain more opinions. Register a domain directly through numerous vendors. Common: Here you can check the availability of TLDs along with hyphenated version of your keywords. Similar: Here you are provided with the synonyms, antonyms, similar words and many other options. SEO: Here you get suffix, prefix and derived words. NameMesh is undoubtedly a great place to find your desired domain name. All that you need is a bit of extra time to go through all possible names. When it comes to find a great domain name, no one gives you as much as flexibility as Namestall. With the tool, you can easily get your keyword either in the starting or ending of your domain name. From various TLDs to being country specific, you have a lot to choose from. You can also select from the huge group of words or numbers. 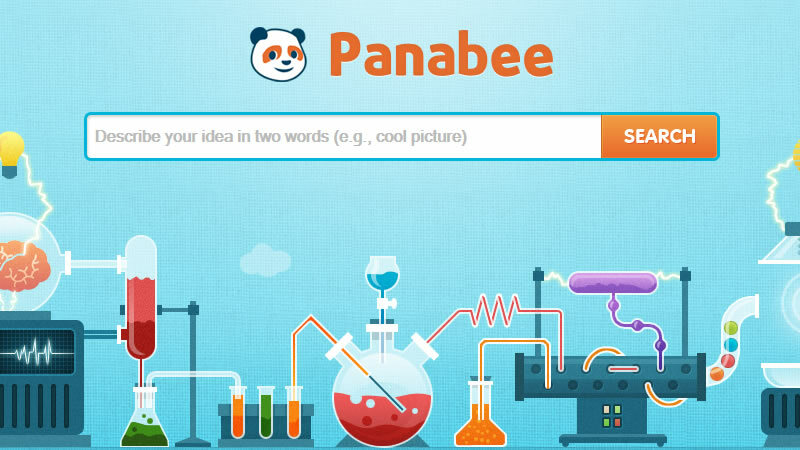 Panabee is another very effective domain name generator tool that lets users generate domain name or business name while also allows to check availability of a domain name. The tool recommends at least 2 words in the keyword bar and the next thing you get is a whole list of various business names. If your desired domain name is available, it gives you a whole blue heart but if it is not, you get a broken red heart. So friends, which one of these have you tried? Let us know in the comments below. Think of the brands that you love and tell me what you recall. Most probably it’s not just the brand name that came in your mind, You might also start recollecting their famous slogans. Yeah, brand slogans are most likely to catch attention if written well. Good slogans are a part of your branding exercise, don’t you think so? Did you ever try to count on the marketing claims you made on your website? Did you notice how many times you described your business as easy, smart, reliable, effective and a trusted solution? Are there dozens of claims? Ten? Twenty? Or more? Now try this: Open your website and count the number of times you reinforced these claims with solid evidences. Count how many data points, statistics, case studies and testimonials you have added to support these claims. Are there so many of these? Five? Zero? Possibly, there are not a lot. Well the point is “Every marketing claim should be well supported by an honest evidence.” And customer testimonials in this way are the easiest and the most effective evidence for your website to be trustworthy. Here you’ll have detailed insights about customer testimonials. 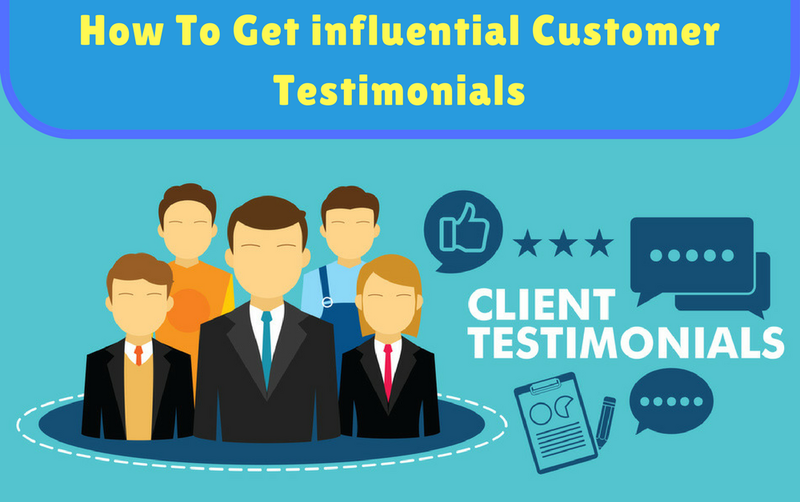 This article will answer your so many questions such as why customer testimonials are important, what questions you should ask, how a customer testimonial should be written and some great testimonial example for business. So let’s start our learning! Why customer testimonials are effective? It’s the tendency of customers that they trust their fellow customers more than the business owner. That is why adding customer testimonials to a website is effective. Even stats says that inclusion of customer testimonials can improve a business conversion rate by 34%. Great testimonials not only strengthens people’s belief in your product and services but it also proves legitimacy of your brand. Website testimonials acts as the social proof for your business. Basically, there are two kinds of social proofs one is client testimonials and second is data and statistics. Well both are good at their places to build a compelling website but start with testimonials. Don’t mix the concept of website testimonials with endorsement. 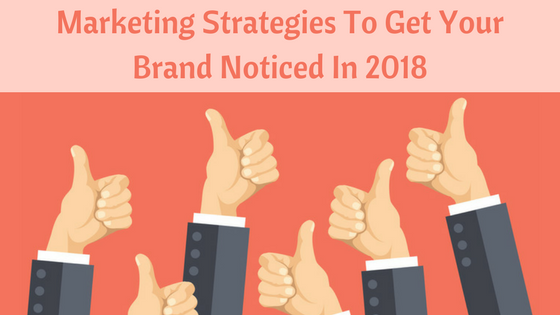 While a testimonial is an authentic review from a client or a customer, An endorsement is typically a well known influencer offering their public support to a brand. You can either ask your customers for feedback or can note their reviews as they flow past. The first approach is better and second one is easy. Begin with your super fans. Identify your happiest clients and customers and I am sure they won’t mind your request for testimonials. Here is an example email to request for a testimonial from your valuable prospects! Note: If you add something to your website without the approval of the person you are attributing it to, it’s fake. It’s illegal too. But yes, if the person gives approval and makes some edits to your draft then it is real and legitimate also. So did they say Yes? Great! Now it’s your turn to say Thanks. And don’t write a short email this time. Go overboard on gratitude and if possible also attach a handwritten note, make LinkedIn recommendation and anything that is totally unexpected but beneficial for your customer. Grateful email messages: welldone guyz! You did a fantastic job! Social media love: You guyz are amazing! Keep up the good work! Handwritten thank you notes: I just wanted to let you know that It’s been great working with you! Gushing in-person gratitude: You’ve been so great, is there anything I can do for you? The key thing is to observe these effective spots that you receive time to time. 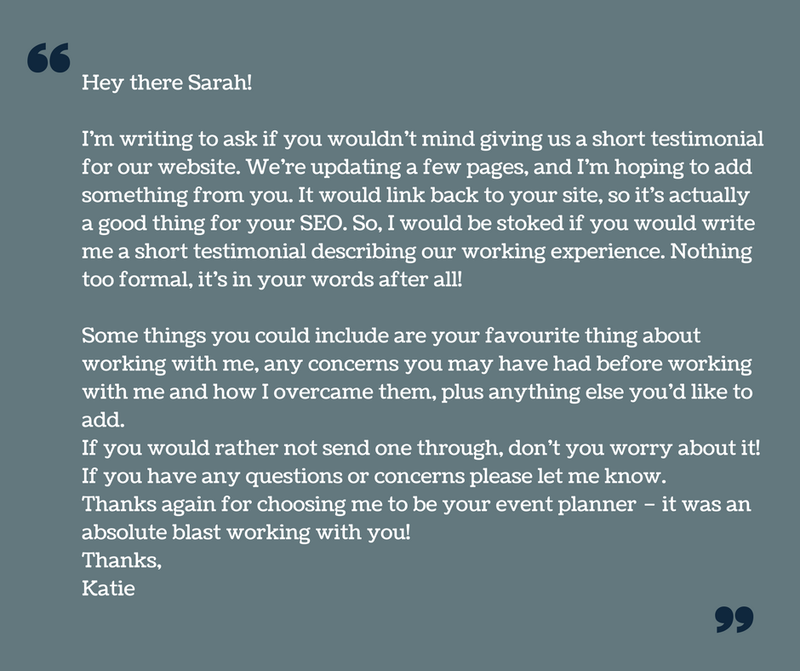 So keep noting them and ask the sender if they won’t mind using their words for your website. In addition of these you can also ask some questions from your prospects to draft convincing testimonials. Let’s have a look! What hurdles did you face while buying this product? What features did you like the most in our product? Can you name three main benefits of our product? Would you recommend our product any further? So now when you have their words in hand, you need an expert to write them. The grace of testimonials entirely depends upon the person who is writing it. Here are some tips that can help you in writing persuasive customer testimonials. People usually don’t prefer to read a long story, they easily get bored of them. Don’t fix the word limit for your testimonials making them look like fake but yes don’t stretch them too long. I would suggest mix up the length and keep it short. Testimonials are meant to showcase how your service improved a client’s life. They are aimed to display your potential clients who are pleased with your product and services. Hence to get a convincing testimonial, you can ask your prospects why they wanted to hire you, what was the obstacles they were struggling with and how you have helped them. Undeniably, photos make a fact and statement more believable. So use a face and a name to your lead testimonials rather than simply putting a text on the page. Many people practice the use of short video testimonials of customers on their website and a photo of client can make it more convincing. Look at the below example of testimonial! Try to put the most impactful statement at the beginning. If your customer doesn’t provide it in that way then edit it and fill it with the most convincing words, So when people read just few words, they get the meaning quickly. Here is an example testimonial which is shorter and without some extra words at the beginning. When you say it, it is marketing. But when they say it, it is authentic. When you write something about your business, people know it. And you can’t help it. But when your audience says it, it is kind of candid even blunt also. No matter how expert you are in your niche, it is hard to write a copy as authentic as your customer can. Special Note: Don’t limit your testimonials to your testimonial page or home page, in fact spread them throughout your website so that wherever your visitor lands, he or she can know about your excellent services. So take the most out of your customer reviews and feedbacks and let me know if you have some unique ways you’ve used while writing testimonials that worked for you.